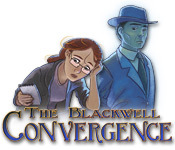 The Blackwell Convergence is rated 4.4 out of 5 by 9. Rated 5 out of 5 by CRoss003 from Fun series with great story I have played through all five games of this series in the last week (had to purchase the last two from the Wadjet Eye site) and loved them. It is a very story-driven game with a lot of conversation, which some people may find boring, but I was sucked in and couldn't stop until the story was finished. I loved it and wish Big Fish carried more games like this (even if they were more expensive--like collector's editions). Rated 5 out of 5 by OneWhaleRider from Great Storyline--Best in the Series! 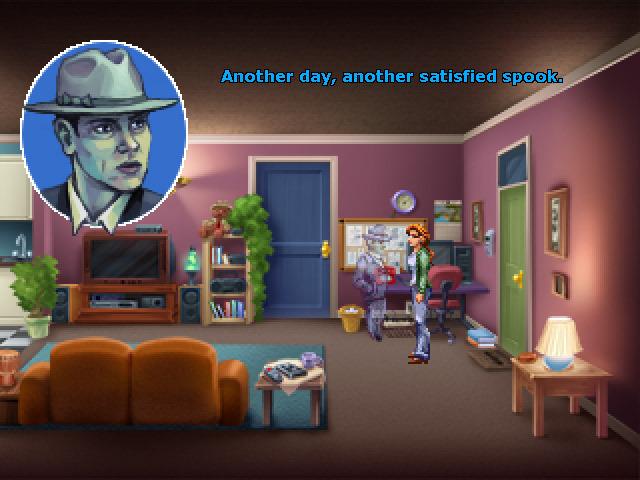 This is a great sequel to the first two Blackwell games--more suspense, a fast-moving plot, and interesting retro graphics. 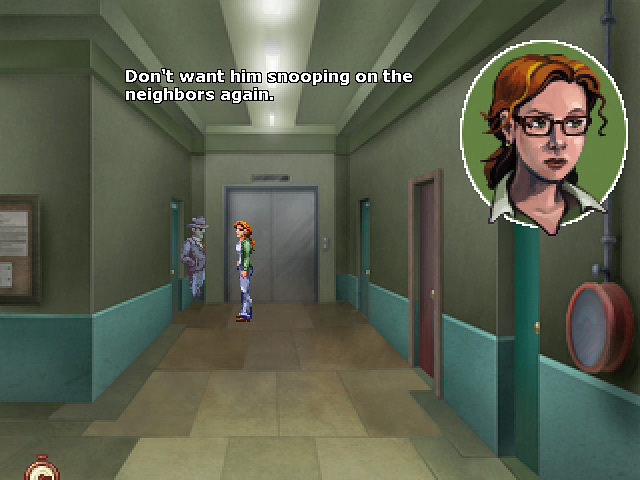 As with the other games, the writing and voice acting make this game stand out, a welcome alternative to random point and click games. Looking forward to the next installment! Rated 5 out of 5 by Gembirdie from A Fabulous Game This game is the best of the series until now. The voiceovers are excellent again, the storyline is convincing and full of surprises, and while the game is challenging, it's not impossible like some adventure games are. And call me strange, but I like the simple graphics... The only regret I have is that the game is still a bit short. Rated 5 out of 5 by emeraldorchid from What a Find! Totally agree with the other 2 previous 5 star reviewers. This series of Blackwell games (the first 2 , i just bought the "unbound" now and will play soon) are the best single-player games i have bought this year. It goes to show that the "retro" look and feel of the game does not matter when you build in an engrossing storyline. The voice-overs are a little better this time but they grow on you, so it did not take away from the immersion factor for me. The story was just that good. For those considering buying this game make sure you play the Blackwell Legacy first, it is better for understanding the flow of the story. I love the risk these developers took making this game and its predecessor, Good work guys! Please don't stop. Rated 3 out of 5 by gingergal from 3rd in this series of graphic text adventure rating out of 5 not love/like This is the 3rd in the blackwell series 1) The blackwell legacy 2) blackwell unbound 3) The blackwell convergence 4) blackwell deception (big fish don't have at date of writing) Don't even think of playing this game without at the very least playing the first game and I'd strongly suggest to play them all in order to get and understand all the story. And these games it's all about the story, there are no mini-games, and you pick up only about 5 things so if you don't like a lot of dialogue then this isn't your game. This is like the second game as in you help multiple ghosts realise they are dead and help them through the 'afterlife' portal. The first game was more about setting up the stage of Rosangela life and how this began. You have to switch between two characters during gameplay (click on initials on inventory bar at the top) as each character can do different things. This game isn't hard but it is more fiddly, you have to ask questions in the right order a couple of times to unlock the next set of questions. You have to click on everything as both characters (if you're stuck) and sometimes like the first pick up it was so hard to see. It still is good for those that are beginners as if you are very methodical in travelling everywhere and questioning everything, you'll be fine as there aren't that many places to visit and you have a transporter map to jump to the places. The first three games (this included) is sold elsewhere as the blackwell bundle and you often can get it in sales and I feel that makes more sense as it plays as one game and I recommend that. There is no way I can recommend this one game at full price due to this being short and I do think it's a certain type of player who will like this, partly due to the graphics which although deliberately done like a 20yr old game, some may not like. The opening of this game just seemed to jump in to a case and I felt for the first half of this game, there was no witty banter or main characters 'what's been happening since last game.' I felt I was just doing everything that I did in the second one, it needed to be slightly different. But the story and interaction did get better towards the end but I didn't like it quite as much as the first two, although I still enjoyed it. 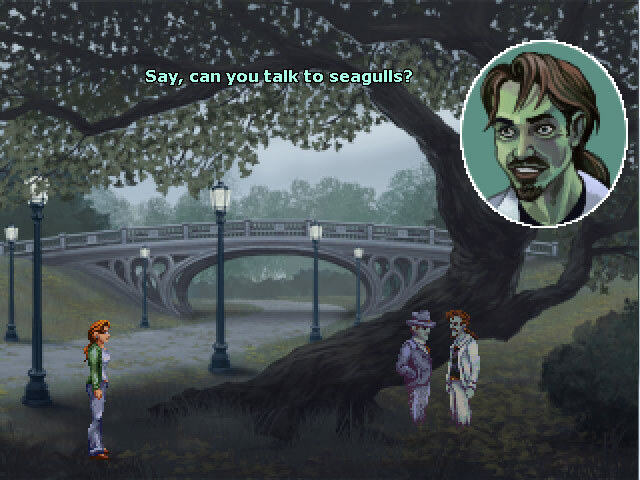 I appreciate quirky, just different types of adventure games, so I love playing them and I really encourage you to try it and big fish to keep giving us them. But in all good conscience I couldn't give this series 5 stars as it's not as good as say Syberia etc and I can't actively recommend them individually due to shortness as I feel they should be sold as a bundle. Rated 2 out of 5 by Mazeo from Too Annoying This was my second "Blackwell" game and I didn't like either of them. Too much boring conversation and silly "solutions."